This is a collection of design documents, source code, and other materials concerning the birth, development, standardization, and use of the C++ programming language. Sources: "C++ Timeline", D&E, page 4; HOPL-III paper. The source code in this section is posted with the permission of the copyright owner for historical research purposes only. Release E was the February 1985 "educational" release of Cfront. With the exception of parts of the makefile, Stroustrup believes that every word and every line of code of Release E was written by him. The first page of the source code has a handwritten diagram of the directory structure and a message to Stroustrup signed "SCD" (Steve Dewhurst). Bjarne Stroustrup. master. Release E, AT&T Technologies, Inc., February 1985. PDF (302.5 kB) Includes README, master makefile, CC. Bjarne Stroustrup. cfront. Release E, AT&T Technologies, Inc., February 1985. PDF (10.1 MB) Includes makefile, alloc.c, cfront.h, dcl.c, dcl2.c, del.c, error.c, expand.c, expr.c, expr2.c, gram.y, lex.c, main.c, misc.c, norm.c, norm2.c, print.c, repr.c, simpl.c, size.c, size.h, table.c, token.h, typ.c, typ2.c, typedef.h, size_align. Bjarne Stroustrup. libraries. Release E, AT&T Technologies, Inc., February 1985. PDF (1.7 MB) Includes complex, new, stream, and task libraries. 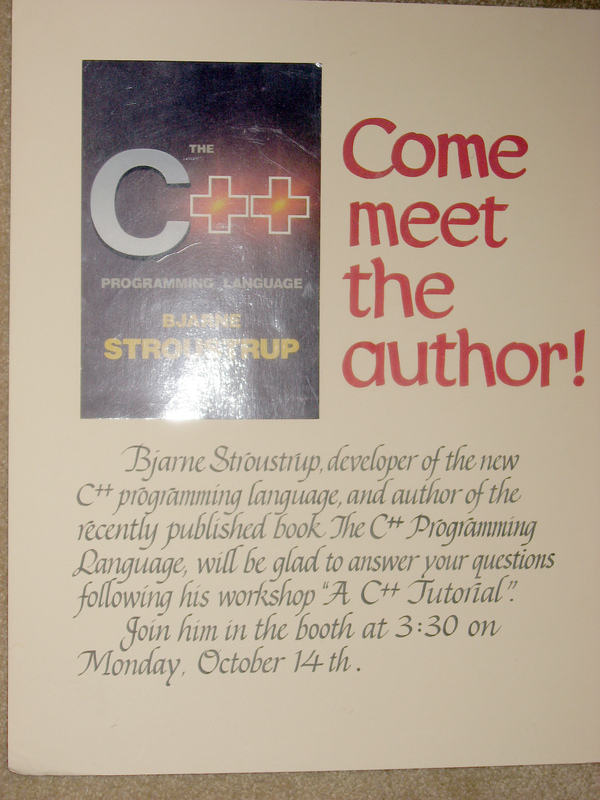 Bjarne Stroustrup. sscan. Release E, AT&T Technologies, Inc., February 1985. PDF (365.2 kB) Includes makefile, ldfacn.h, sscan.c, CCcrt0.s, and CCmcrt0.s. C++. Release E, AT&T Bell Laboratories, November 1984. Loose leaf documentation with Acco fastener. B. Stroustrup. An Extensible I/O Facility for C++. Proceedings Summer 1985 USENIX Conference, June 1985, pages 57-70. This paper describes the original C++ streams library, designed by Stroustrup. Jerry Swartz extended that to the iostreams library. Cfront 1.0, in October 1985, was the first commercial release. AT&T released Cfront 2.0 in June 1989. 1. Complex Arithmetic in C++. Based on paper by Leonnie V. Rose and Bjarne Stroustrup. Bjarne Stroustrup and Jonathan Shopiro. A Set of C++ Classes for Co-routine Style Programming, Proceedings of the USENIX C++ Workshop, November 1987. Jonathan Shopiro. Extending the C++ Class System for Real-Time Control. Stacey Keenan. A Porting Guide for the C++ Coroutine Library. 3. Iostream Examples. Based on paper by Jerry Schwarz. 1. Evolution of C++: 1985 to 1989. Based on paper by Bjarne Stroustrup. 2. An Introduction to C++. Based on paper by Keith Gorlen. 3. An Overview of C++. Based on paper by Bjarne Stroustrup, published in ACM SIGPLAN Notices, October 1986, pages 7-18. 4. Object-Oriented Programming. Based on paper by Bjarne Stroustrup: What is Object-Oriented Programming?, published in IEEE Software magazine, May 1988, pages 10-20. 5. Multiple Inheritance. Based on paper by Bjarne Stroustrup: Multiple Inheritance for C++, published in Proceedings of the EUUUG Spring Conference, May 1987. 6. Type-Safe Linkage for C++. Based on paper by Bjarne Stroustrup, published in Computing Systems, Volume VI, Number 4, Fall 1988, pages 371-404. 7. Access Rules for C++. Based on a paper by Phil Brown. Appendix A. Manual pages for C++: CC, c++filt, and demangle. Lucent released Cfront 3.0 in 1991. Bjarne Stroustrup notes, "A warning that Cfront 3 is pre-standard and emphatically not recommended for use or further development might be in place." C++. Release 3.0.3, AT&T Bell Laboratories, May 1994. ISO IEC JTC1/SC22/WG21 C++ Standards Committee Papers. Bjarne Stroustrup. 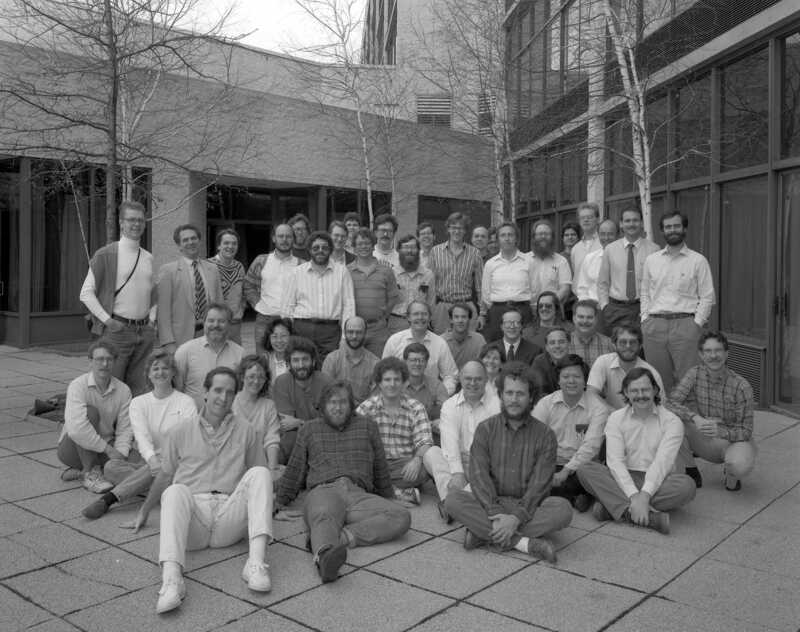 A History of C++: 1979-1991. Also appears in: T. J. Bergin and R. G. Gibson, Eds. History of Programming languages---II. ACM Press, 1996. Bjarne Stroustrup. Evolving a language in and for the real world: C++ 1991-2006.